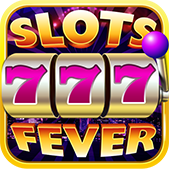 40+ themed video slot machines with high-quality sound, top-tier graphics and fun bonus games. 4+ new video slot games released every month. Lots of chances for free coins and free spins! 200+ free coins every two hours! The more you play, the more coins you'll get! The first slots game with a tournament mode! Get Free gifts from Daily Treasure. Collect items and win chance to play the Great Bonus Game! Spin up to 99 lines at a time. Compete for a place on the Leaderboard. 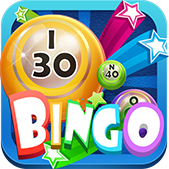 When you play Bingo Fever we will give you 2000+ coins and 50+ cards to start out. Every day you log in you will get a bonus gift of 15+ tickets – you don’t want to miss a day! Bingo Fever has a daily lottery. Enter once for free or buy extra chances to win. Compete with rivals from all over the world in Bingo Fever. Play in more than 20 different Bingo game rooms. We will be rolling out more rooms all the time! Each room has it’s own kind of scenery… so playing Bingo Fever is a way of traveling! 7 types of power-ups let you get rewards and have a higher chance of winning Bingo games. Every room has 12 special collectible items for you to discover. Collect them all to win a big prize! When you play Bingo Crush we will give you 2000 coins and 50 tickets to start out. Enjoy our 6 different special rooms,each room has its own play method. 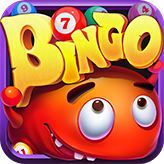 Compete with rivals from all over the world in Bingo Crush. Play in 20+ different Bingo game rooms. We will be rolling out more rooms all the time! Each room has it’s own kind of scenery… so playing Bingo Crush is a way of traveling! Every room has 12 special collectible items for you to discover.